September | 2012 | the wine snob. Wow. Just wow. This seems like the only suitable way to introduce this wine. If you made it past the title (which is kind of a mouthful, not gonna lie), you’re in for a real treat on this Monday afternoon. I have fallen head over teakettle for this wine, and I remain somewhat awestruck by a.) how surprised I am that I like it, and b.) how FREAKING good it is. I still, at the end of each sip, marvel at how amazing it is. Okay. So first things first: what the heck is it? Sagrantino is the grape, and it only grows in this one place. Montefalco is the specific region, or as I’m learning, “comune” that it comes from, which is in the Umbria region. 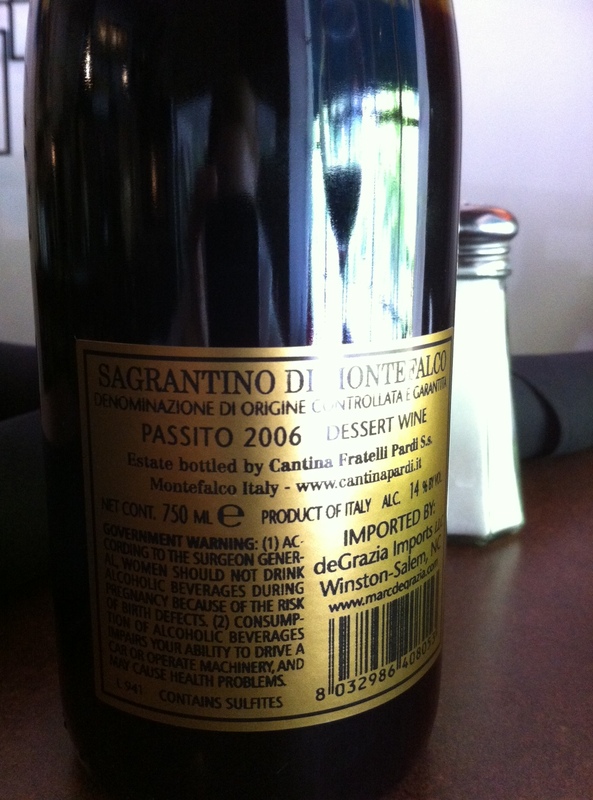 Sagrantino di Montefalco has it’s very own DOCG status, as of 1992. Only about 250 acres of Sagrantino are planted in the wee Montefalco. That’s not a lot. AND that accounts for how rare it is to see this wine outside Italy. ***DING DING DING*** this wine is SUPER SPECIAL!! 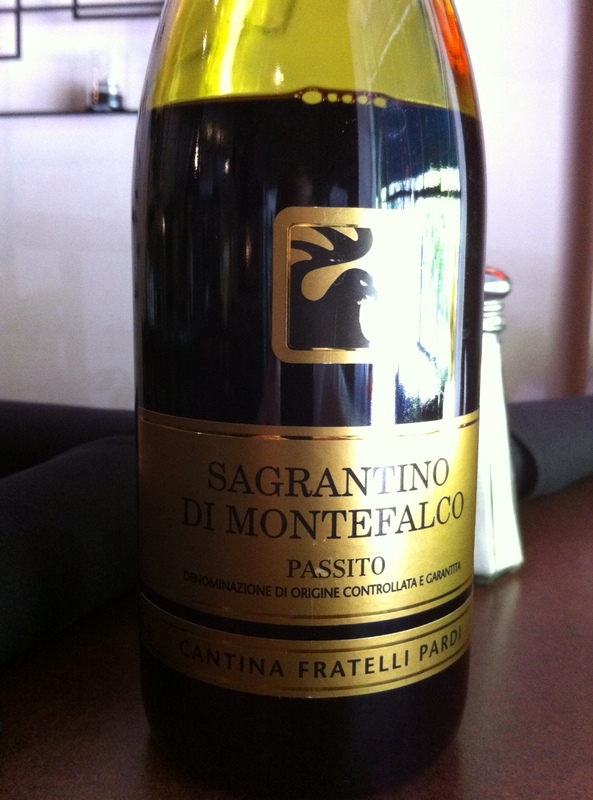 Sagrantino can be made into a regular old red wine, or in this case, a Passito style. Passito, aka “raisin wine” is a style of wine that involves laying the grapes out to dry, and concentrate their juice. It results in a dessert-style wine, almost as if a wine and a port had a delicious love child. So now that you’re used to saying “Sagrantino” and “Montefalco”, and have learned more than maybe you care to about all this, let’s progress to the fun part!! So when you first get a whiff of this, you might think- whoa. I’m not sure this is my jam. I’ve opened several bottles of it, and they all seem to have this really brief mustiness when you first smell them. After that, you definitely get hints of vanilla, cedar, clove. Close behing are intense dark, cooked (yet not exactly jammy) notes of blackberries, kirsch, a hint of balsamic, raisins, black pepper, and a slight touch of something flowery, like violets. However, its nose accounts for maybe 25% of it’s personality; it’s alllll about the taste and texture. 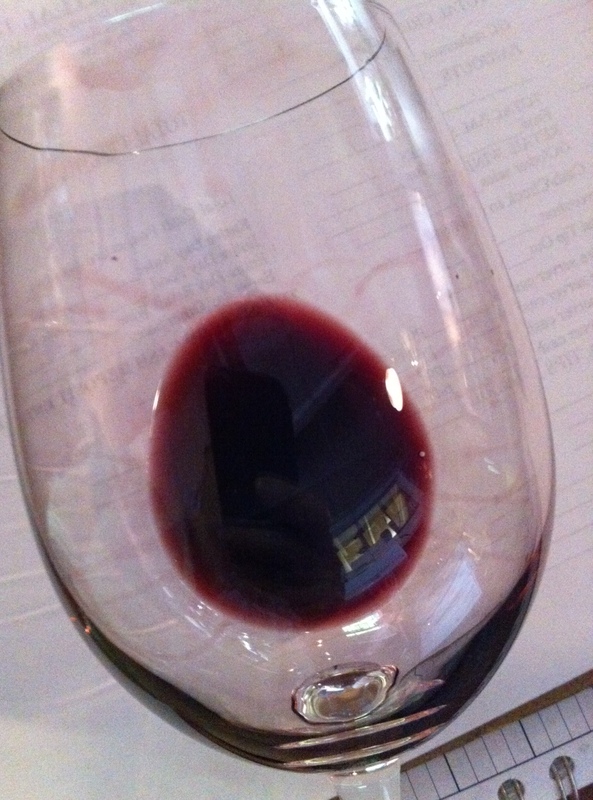 It hits you with layer after layer of dark fruit. It is luscious and silky. It is dark and intense. BUT- it is not weighed down, flabby, or alcoholic (it’s just 14% alcohol!). And the finish is noticeably dry, which is the real kicker. A dry finish on a dessert wine? It must be because Sagrantino is among the most tannic of grapes; so even though it “raisined”, it still maintains some tannin and dryness. Freakin’ perfect. The real reason I’m so surprised I like this is because (confession) I HATE port. I guess hate is a strong word. I’ve tried maybe one or two in my life that I would consider consuming an ounce of. Usually, their smell alone is enough to make me grimace and squint. Perhaps I just haven’t developed my taste for them, or maybe I just flat out don’t like them and never will. Who knows. But the important thing to take away from this is IF you think you don’t like port, or dessert wines- TRY THIS! You might just like it. You might just be obsessed with it. You know what this wine is perfect for? Bringing to someone’s house for dinner who REALLY likes port. You can show up with this and be all- BAM! try this! how d’ya like me now?! You know what else this wine is good for? The end of the night. You’ve had dinner, you’ve had red, maybe you’ve had dessert, maybe no one wants to open another bottle and is teetering on the edge of going home- then you open THIS! And everyone is surprised and delighted. But since it’s sweet and intense, no one guzzles it- they just sip it slowly and chill out a bit longer. And it’s low in alcohol, so you’re not risking ending the night too soon. You know what else is awesome? This wine has higher residual sugar than most reds, which means you can open it on a Monday (who doesn’t need a drink on a Monday?) and you can have some more on Wednesday, and some more on Friday, and it’ll still taste good. I’ve tested this, and it works. Some of that tannic finish might soften up, but the wine is still yummy. imported by deGrazia, for those who are curious. One more thing to seal the deal: Sagrantino in general, including this one, hardly EVER sell for less than $30 a bottle. (remember that whole- only 250 acres planted, hardly seen outside of Italy thing? yeah, thats what it means). Really, look some up. And because we’re so incredibly awesome, we’re selling this for $18 a bottle! The only sad thing is, when it’s gone, it’s probably gone (at that price) forever. So you should snap some up while it lasts. Also, it is currently by-the-glass at Cellar on Greene, so if you’re still iffy about whether you’ll like it at all, you can come sample some. I invite you to do so.